July | 2015 | W.O.D.D. 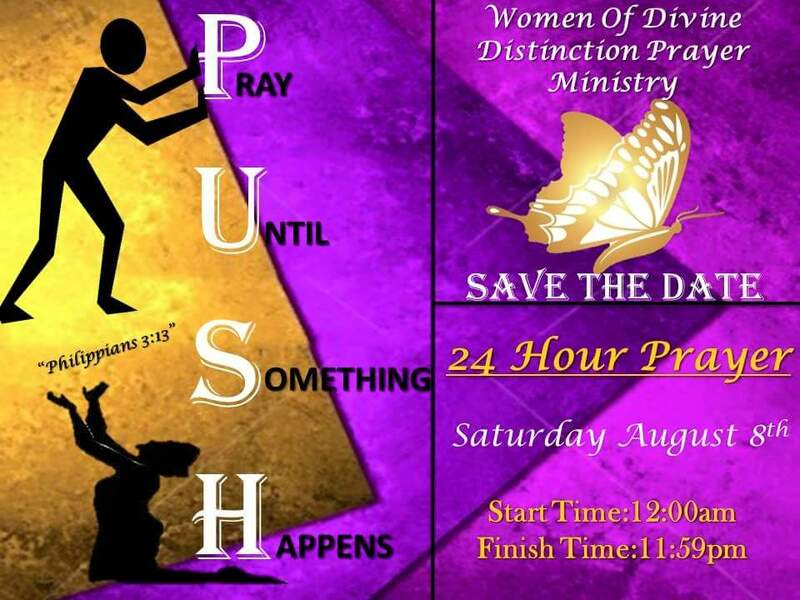 Mark your calendar to join, Pastor Clara L Peters and Women of Divine Distinction Ministry as we celebrate year. God has truly been a blessing and we just give him all praises. We have a mighty Woman of God, Pastor Sandra Deckard to come and bless us with a word from God. Pastor Peters is looking for all to come and be blessed as it will be a blessed celebration according to God. If you would like to be a VENDOR, see flyer of whom you should contact. 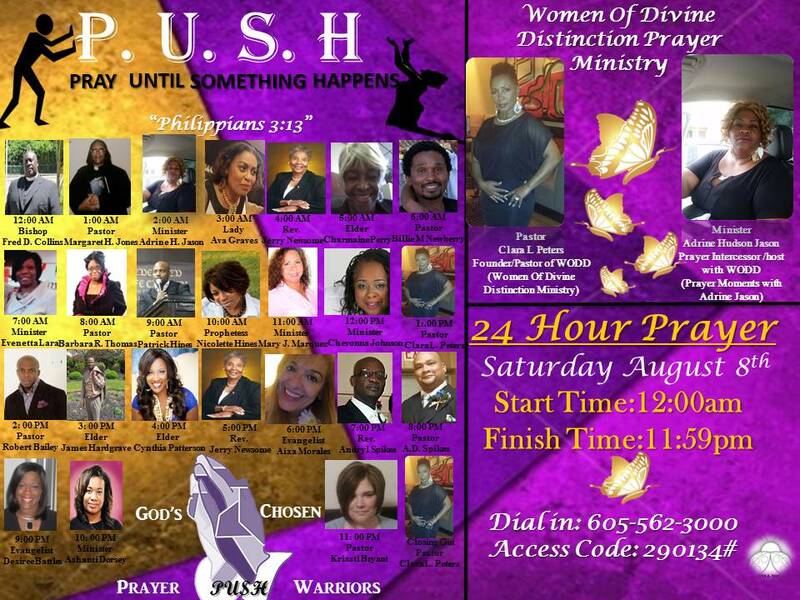 Mark your calender to Save the date for the 2nd 24 hour prayer call. Saturday, August 8, 2015 start at Midnight is when we will begin promptly. There are many mighty MOG and WOG that will be coming to give a word and prayer each hour. So don’t miss this mighty move of God. You can get on and off the call as often as you want just know you can hear as many of these mighty Men of God or Women of God. Pastor Peters is blessed to have meet and labored with these mighty Men and Women of God, it is going to be a bless time in the Lord. 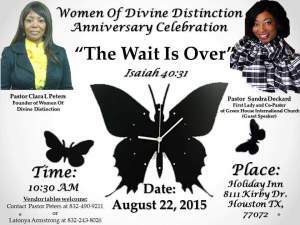 Mark your calendar to join, Pastor Clara L Peters and Women of Divine Distinction Ministry as we celebrate year 6. God has truly been a blessing and we just give him all praises. We have a mighty Woman of God, Pastor Sandra Deckard to come and bless us with a word from God. Mark your calendar, you do not want to miss a mighty move of God.